Complete Communities is about improving neighborhoods so that all of Houston’s residents and business owners can have access to quality services and amenities. It’s about working closely with the residents of communities that haven’t reached their full potential, understanding their strengths and opportunities, and collaborating with partners across the city to strengthen them. While working to improve these communities, we must also work to ensure existing residents can stay in homes that remain affordable. Complete Communities was given the Our Great Region Award in the Reach category on January 11, 2019. 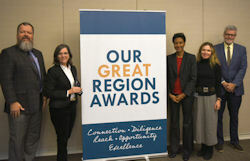 The Our Great Region Awards recognize outstanding projects in the region that are advancing the goals and strategies identified in the Our Great Region 2040 plan. The Reach Award honors a project that demonstrates exemplary public participation. 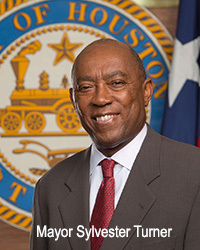 Our Great Region 2040, Houston-Galveston region’s consensus-based long-range sustainability plan, provides a framework for the Houston-Galveston region to coordinate its efforts to address overarching issues instead of dealing with them individually. For more information on the awards, visit Our Great Region Awards. The City designed and implemented planning processes that align with each community’s planning needs. Out of the hundreds of community engagement meetings involving all sectors of the community, an Action Plan was developed in each area. The Complete Communities Action Plans were presented to the Economic Development City Council Committee on May 10, 2018 and posted online for the public to make final comments. On August 29, Council passed a motion in support of all five Action Plans signifying the support of the City to partners, funders, philanthropists and others. City staff continue to work with the Neighborhood Support Teams, work groups and the greater community to facilitate projects as outlined in the plans. 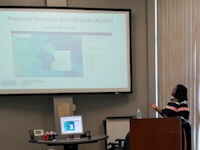 Visit each area's page to access the Action Plan and to learn more about their process. 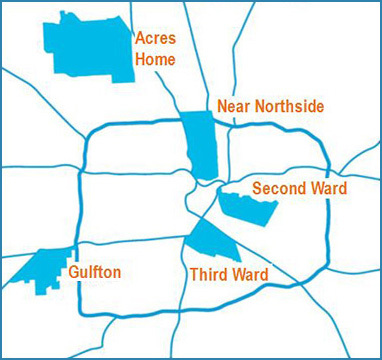 We began this initiative by working in five communities: Acres Home, Gulfton, Second Ward, Near Northside, and Third Ward. We selected diverse neighborhoods with various conditions and challenges. No two communities are exactly the same. Common elements between them are they are all historically under-resourced, each has a base level of community involvement and support, they have diverse populations and each has its own unique look and feel. These pilot communities, listed below, represent the initial round of this program. Work in these areas will help to develop solutions that are transferable to other communities across the entire city. The City will provide support to pilot communities in a number of ways. First, each community will have the benefit of a team of dedicated staff across several City departments that will work with the neighborhood to identify priority projects and develop implementation strategies. The City will develop a Neighborhood Toolbox. The toolbox will identify – in one place – all City programs that neighborhoods and the City can use to enhance all of Houston's communities. The City is looking at its own uncommitted discretionary funding sources and exploring how to focus this funding to create a more significant long-term impact in these areas. And finally, the City will ask organizations outside the City to be our partner in finding long-term solutions for strengthening these neighborhoods. Each of these neighborhoods has unique needs and their own goals that they would like to achieve. So, the City will engage the residents in each neighborhood to understand their vision and partner with the local community to support their efforts to achieve their goals. If planning efforts are already underway or completed, the City will look for ways to help implement those plans. Some of these areas have already had the benefit of significant neighborhood planning efforts, often by community development partners such as the Local Initiatives Support Corporation or Avenue CDC. For those communities where planning efforts are already underway or completed, the City will look for ways to support implementation of those plans. For areas without previous neighborhood planning efforts, the City will conduct a 6 to 9 month community engagement process to help local residents and businesses identify improvements to strengthen these communities. After completing these plans, The City will ask the local community and other organizations to be our partner in turning the plans into reality. The City conducted a 6 to 9 month community engagement process to help local residents and businesses identify improvements to strengthen communities. The timeline for each step is outlined below. For details by neighborhood, visit the community’s page. To support each Complete Community as they work to implement and execute their action plans, a training program was developed to support their work - Complete Communities University (CCU). To learn more out CCU, visit our CCU page. An advisory committee has been established to serve as a sounding board, as ambassadors for the effort, and as links to residents and businesses in the selected neighborhoods. The committee is comprised of 26 community leaders and advocates that have a balanced perspective ranging from city-wide to neighborhood specific involvement. Click to view the list of Complete Communities Advisory Committee members. The Community Design Resource Center (CDRC) was an integral part of the Complete Communities planning teams in all five pilot Complete Communities. The Community Design Resource Center provided expertise in community engagement and designed and produced the final Action Plans. Visit the CDRC at https://www.uh.edu/architecture/special-programs/cdrc/. To see the Planning Department team members, visit each area’s page.